CarGurus has 1,219 nationwide V60 listings starting at $10,975. Don’t confuse the 2016 Volvo V60 with the Volvo wagons of the past. Gone are the boxy lines and plodding driving experience. Introduced last year, the V60 wagon delivers sleek styling and ample power, along with the super comfortable seats and comforting safety features that are two of Volvo’s trademarks. It’s a nice balance for customers who want the feel of a sports sedan but need a helping of utility with it. The biggest change for the 2016 V60 is the discontinuation of the T5 (entry-level) all-wheel drive model. This deletion leaves consumers two clear choices--the front-wheel drive T5 Drive-E with its four cylinder engine, or the T6 AWD R-Design with its six-cylinder and, as it says in the name, AWD. A “Platinum” upgrade is available for both trims, and the T6 AWD R-Design comes in a special-order Polestar edition as well. There’s also some optional package reconfiguring, but otherwise the 2016 V60 is the same as the model that debuted last year. The V60 is based on Volvo’s S60 sedan, and the similarities are obvious on the front, with the shared character lines on the hood rising from the grille and the angled headlamps. These lines begin the wedge shape of the V60 that flows all the way to the rear, where a steeply raked back window gives the wagon a coupe-like appearance. It’s a far cry from the boxy Volvo wagons of the 80’s. The T5 Drive-E is powered by a turbocharged 2.0-liter four-cylinder that produces 240 horsepower and 258 lb-ft of torque, which is sent to the front wheels by an eight-speed automatic transmission. The T5 Drive-E gets 25 mpg city/37 highway/29 combined and is the clear trim choice if you’re looking for efficiency. The T6 AWD R-Design offers more power--325 horsepower, 354 lb-ft of torque--thanks to its turbocharged 3.0-liter six-cylinder mated to a six-speed automatic transmission, but it takes a hit in the fuel efficiency department, with 18/27/21. The T5 Drive-E goes from 0-60 mph in 6.4 seconds while the T6 AWD R-Design gets there in 5.5. The AWD V60 is also a bit more responsive on the road thanks to its Sport Chassis, which features a strut brace under the hood that links the suspension strut towers in order to stiffen the entire body structure. The FWD model offers a smoother ride, but both options provide a nice balance between handling and comfort. If you prioritize occasional weekend rally races over a soft drive around town, the Polestar edition is the choice for you. All V60 models can be driven in Normal, Sport or ECO+ mode. The ECO+ boosts efficiency with its start/stop function (shuts down engine as car comes to a stop), ECO-coast (the engine “brake” is disengaged and the engine speed drops to idle when the accelerator is released), and ECO-climate (disconnects the air conditioning compressor). Technology also enhances Volvo’s safety features. There’s City Safety, which helps drivers avoid collisions at 30 mph or less by using a velocity sensor and either pre-charging or automatically engaging the brakes. The Advanced Stability Control has a roll angle sensor to help prevent oversteer and understeer. Corner Traction Control redistributes torque to help in turns. Dynamic Stability and Traction Control, antilock disc brakes, front side airbags, and full-length side curtain airbags are among the other standard safety features, while lane departure warning, blind-spot warning, rear parking sensors, frontal collision warning, and pedestrian and bicyclist detection are some of the optional safety features. The high point of the cabin are those front seats, which will support you on trips long and far--but they aren’t the only highlight. Quality materials and craftsmanship provide an upscale feel and a quiet ride throughout. Standard features for the T5 Drive-E include dual-zone climate control, sunroof, cruise control, eight-way power front seats, 40/20/40-split rear seats, Volvo’s Sensus Connect infotainment system (which includes a Wi-Fi hotspot and roadside services), and an eight-speaker audio system with CD player, satellite and HD radios, an auxiliary jack, and a USB interface. The Platinum upgrade (for either trim) adds the features of the Technology Package (lane departure warning, lane-keeping assist, adaptive cruise control with frontal collision warning and braking, pedestrian and bicyclist detection and braking, active high beams, and a driver alertness monitor) and the Convenience Package (rear-view camera, power-retractable exterior mirrors, keyless ignition, a grocery bag holder, and a HomeLink garage door opener), along with interior accent lighting, auto-dimming headlights with washers, auto-dimming mirrors, and a 12-speaker Harman Kardon Surround Sound audio system. The T6 AWD R-Design builds on the T5 Drive-E's features with navigation, roof rails, leather upholstery, customizable digital gauges, and auto-dimming mirrors (all also part of the Premier package), as well as a sport-tuned suspension, keyless entry and ignition, power-retractable exterior mirrors, power-folding rear head restraints, adaptive xenon headlights, and 19-inch alloy wheels. The Polestar edition comes with all the T6 AWD R-Design and Platinum features, and then adds a performance-tuned suspension, bigger front brakes, sport-turned engine, paddle shifters, aerodynamic body kit, and 20-inch alloy wheels. 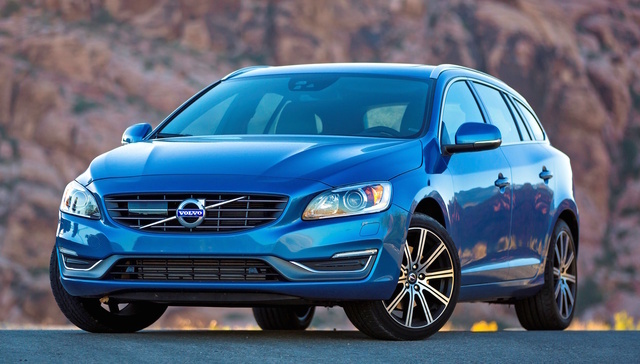 What's your take on the 2016 Volvo V60? 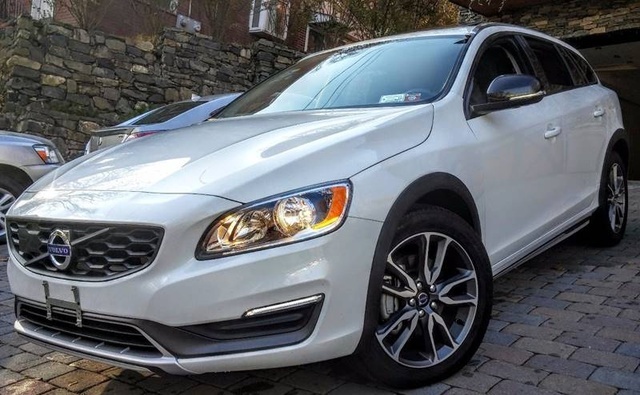 Have you driven a 2016 Volvo V60?